Here's Bajan artist Vita Chambers latest single fro "Like Boom" from her debut EP "The Get Go". Here are the 2 official covers for Eminem's upcoming new album "Recovery". They're both fantastic, and I'm looking forward to hearing his latest offering. Here is the official album cover for "Last Train To Paris" from Diddy-Dirty-Money aka. Diddy, Dawn and Kalenna! It's different - and I like it! Check out Rihanna's brand new video for "Rockstar 101" which features Slash. The black and white video is just incredible, showing that Rihanna truly is one of the biggest Superstars of our day and age! Check out the official promo poster for the CW's new Fall programme "Hellcats"
Who'll be watching this then? Here's Orianthi's new music video for latest single "Shut Up & Kiss Me". Her guitar skills are c-r-a-z-y ! We just mentioned him as a new artist to look out for and told you about his American Idol performance - and here it is! Check out this live performance of album track "U Smile" by Justin Bieber. He was on American Idol promoting current album "My World 2.0" and did a great job! NEW ARTIST ALERT: TRAVIS GARLAND. Once in boyband NLT (along with Glee's Artie, played by Kevin McHale), Travis is now working with Danja on his upcoming debut album and has been working with Perez Hilton (! ), who has definately helped promoting Travis! His debut single "Believe" is out on iTunes now, written by Travis and produced by Danja, and he performed the track on last night's American Idol results show! A fantastic platform for a new and VERY talented artist! Here's the single cover for Nicki Minaj's latest song "Your Love", which samples Annie Lennox's "No More I Love You's". "You can start from square one and really build a song from whatever your heart desires," she told Popeater. That's the most fulfilling. I just want it to be good. I want people to get a sense of me through my music." Discussing her new LP, Meester cited Ke$ha's 'Tik Tok' and Black-Eyed Peas hit 'I Got A Feeling' as major influences on its sound. She said: "[The songs] make you feel like you don't have to worry about tomorrow." Meester's debut album is expected to be released this summer. 12 year old covers Lady GaGa's "Paparazzi"
I'm sure many of you have already seen this amazing rendition of Lady GaGa's "Paparazzi" by 12 year old school boy Greyson Chance, but in case you haven't... prepare to be amazed! Check out Christina Aguilera's feature in OUT magazine, she looks just incredible! The Scissor Sisters are back with a new single and album this summer! Here's a promo video that Teairra Mari has done for her upcoming sophomore album "At That Point" - out in June. She covers Drake's "Over" and it's great! Here is the official music video for Alicia Keys' current single "Un-thinkable (I'm Ready)" which co-stars Chad Michael Murray in the video! Check it out ;) ! Here is the official cover for M.I.A's upcoming 3rd album "/\/\ /\ Y /\"
It's very different, and I love the title! Check out Monrose's new album cover for 4th LP "Ladylike". Looking good, albeit a tad Lady GaGa maybe? Toni Braxton popped into GMTV today to perform "Yesterday" and gave a little interview beforehand. Check it out! Check out Alexandra Burke's latest single of "Bad Boys" on Holland's version of the X Factor. Miss Burke proves yet again why she was crowned X Factor Champion 2008 with yet another standout performance. Check out Monica's interview on Chelsea Lately, promoting her current smash album "Still Standing". Alexandra Burke gave a cracking performance of current single "All Night Long" on The National Lottery Show last night, check it out! 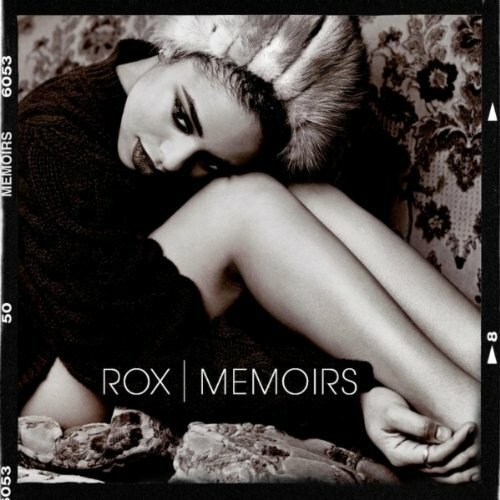 Here's the album cover for Rox's debut album "Memoirs". Maniac - Girlicious from Arlaina de Jesus on Vimeo. Check out the new music video from Girlicious for their new single "Maniac". I love it! Check out Beyonce's new music video for "Why Don't You Love Me" from her album "I Am... Sasha Fierce". Here is the official single cover for 3OH!3' s latest single "My First Kiss", which features Ke$ha. The song is the first single from their upcoming album "Streets Of Gold" which is out June 29th. Check out this pic from rap-up.com showing Rihanna on the set of her new music video for "Te Amo". The track, which serves as "Rated R"'s fourth single, is the next international single from RiRi while it's been announced that "Rockstar 1o1" will be Rihanna's new U.S. single! Beyonce - Why Don't You Love Me - Sneak Peak! "Why Don't You Love Me" - Sneak Peek from Beyonce on Vimeo. Check out this sneak peak from Beyonce's upcoming music video for "Why Don't You Love Me". The song was featured as a bonus track on Bee's 3rd album "I Am.. Sasha Fierce" and the full video is expected to premiere soon!